There are a number of myths that opponents of climate action use to make their case. These attacks on climate science are repeated often, despite their innacuracy. Here’s a quick rebuttal to the top 10 climate myths. “Warming has paused!” This is one of the most commonly repeated lines, despite the half-dozen studies disproving it. Rather than accepting the steady increase in globally averaged annual temperature across recent decades, the “pause” argument uses the exceptionally warm El Niño year of 1998 as a starting point and draws a trend line to the present, claiming warming has stopped. It ignores how natural cycles like El Niño and La Niña events impact surface temperatures; it purposefully distracts from long-term trends; and it ignores the important role of the ocean, which acts as a heat sink. 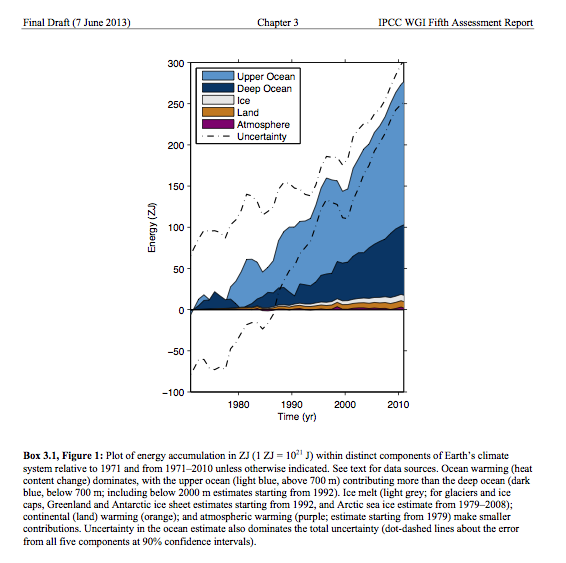 There are a number of ways to disprove the “warming has paused” myth. First, there is the simple fact that 2014 was the hottest year on record (and without an added temperature boost from El Niño, like in 1998). That is, until 2015 beat it. And then, of course 2016 beat it, making it three years of record heat in a row. Moreover, nine out of the ten hottest years on record have occurred in the 21st century, with the tenth being 1998. To get an even better sense of how globally averaged annual temperature has increased since records began in 1880, see this great animation. “The climate is always changing; it’s natural!” While it’s technically true that the climate is always changing, this logic is deeply flawed; it implies that because natural forces have been the dominant cause of climate change in the past, humans aren’t changing it in the present. Scientists are certain that we are. This is the (il)logical equivalent of saying that because people die naturally, there’s no such thing as murder. The major natural cycles influencing the Earth’s climate are connected to slow changes in Earth’s orbit which alter the way the Sun’s energy is distributed on Earth. But these slow changes are not sufficient to cause the observed magnitude of temperature change in recent decades. Scientists know that recent climate change is largely caused by human activities from an understanding of basic physics, comparing observations with models, and fingerprinting the detailed patterns of climate change caused by different human and natural influences. Scientists know that when it comes to recent global temperature increase, greenhouse gases play a major role compared to natural forces, with most scientists likely to say that humans are actually responsible for more than 100% of the warming because the climate should have cooled in the absence of human GHG emissions. 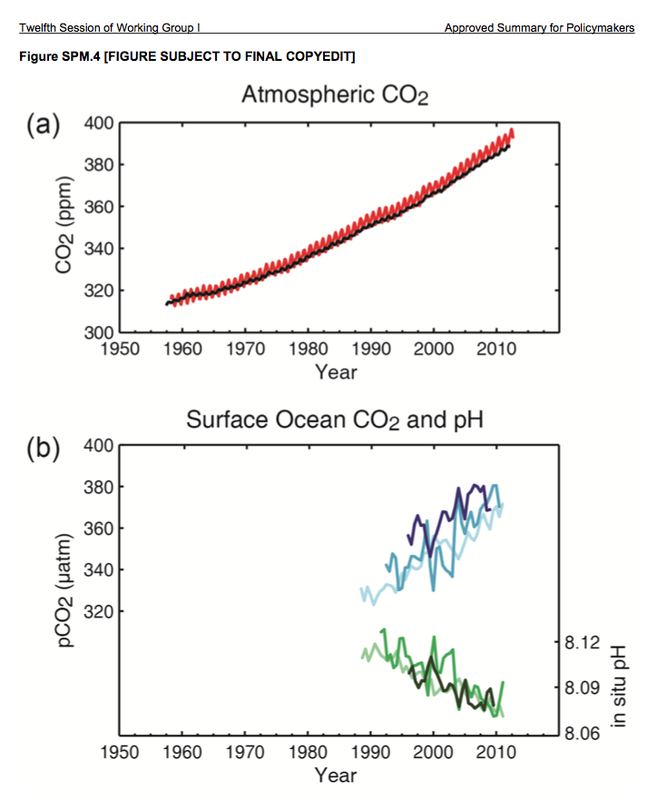 Human GHG emissions are implicated in measurements tracking the increasing concentration of CO2 in the atmosphere and ocean and in climate model simulations. Climate models only recreate current temperatures when the simulations include added human GHG emissions as a variable. 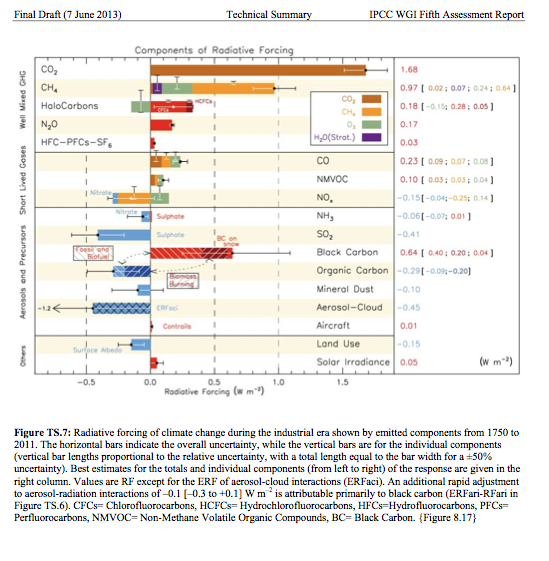 Other indicators include the warming of the lower atmosphere, where GHGs reside, while the upper atmosphere cools as GHGs are trapped and prevented from radiating upwards. We’ve also seen the oceans warm, as well as a variety of other indicators showing it’s warming. “The models are wrong!” A popular meme is the claim that the climate models predict too much warming. The argument goes that because it’s currently not as hot as some more extreme model runs projected, then they’re wrong and we don’t need to do anything because climate change won’t be that bad. A paper published in a Chinese journal makes this claim, saying that global warming projects are “greatly exaggerated.” However, upon inspection, the weakness of the paper shows, with scientists calling it “complete trash” and pointing out its use of “inappropriate” feedback values. The form this myth takes varies, but one thing is constant: they cherry pick trend lines and misrepresent the models. Fundamentally, models make projections (that show what’s possible given certain conditions), but deniers portray model projections as predictions (declarative statements of what will happen). “CO2 is good! Plants need it!” The impact of warming on global agriculture has been and will continue to be negative. Recent rapid increases in food prices show that markets are sensitive to climate change. Water supply variability, for example, threatens food and livestock production in both irrigated and rainfed systems. Weather extremes are also causing drops of 25% or more in output from top food producers: a 2009 drought impacted maize and soy in Argentina; a 2010 drought and heat wave impacted Russian wheat production; and severe drought impacted maize production in the U.S. in 2012. Each of these production drops have been followed by rapid price increases. Beyond that, studies show that higher CO2 levels lead to lower nutritional content. This means that even beyond droughts and extreme weather, struggling sustenance farmers will have to grow more crops just to get the same nutrition. “Antarctic ice is growing!” Only Antarctic sea ice (as opposed to land ice) is growing and even this is due to warming. As the land ice melts, the melt water goes into the sea, making it less salty. Fresh water freezes faster, so the melted land ice is driving the increase in Antarctic sea ice. But it’s the melting land ice that is of the greatest concern, because this is what causes sea level rise. And there is no doubt that land ice is melting, with recent studies confirming that Antarctica is melting. It’s also worth mentioning that while Antarctic sea ice is increasing, the Arctic is losing much more. In fact, the Arctic is losing three times as much ice as the Antarctic is gaining. Both processes are tied to global warming. “The hockey stick is broken!” For over a decade, Dr. Michael Mann’s hockey stick graph has been a favorite target. But for over a decade, it’s been validated and remains solid. Not only has Mann’s work been cleared by a number of independent reviews, but his results have passed the real test of science-reproducibility. 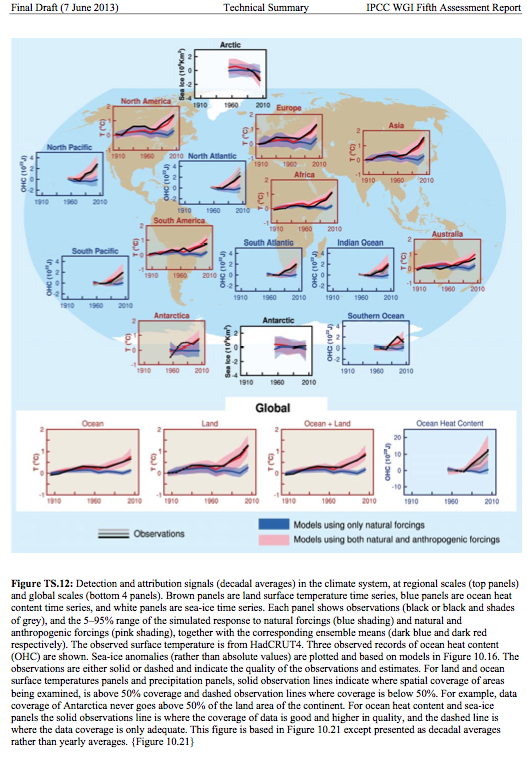 As you can see in this graph from the Fifth Assessment Report (AR5) of the IPCC, a number of new studies have reaffirmed the Hockey Stick, as has an international consortium of scientists. “The 97% Consensus is wrong!” Ever since exploding onto the scene in 2013 with a tweet from none other than President Obama, a paper led by John Cook surveying 11,944 climate abstracts from 1991 to 2011 has been the standard in defining the consensus among climate scientists on climate change. This has made it a target, but try as they might, they can’t debunk the results. There are a number of peer-reviewed studies that show a consensus among climate scientists (as well as others that show climate scientists are more credible than skeptics, who are wrong a lot), but the most compelling remains Cook’s 97% consensus paper. Cook and his team surveyed thousands of climate studies, and found that of those addressing climate change, 97% point to humans as the cause. To ensure that their own bias wasn’t influencing the results, the authors reached out to the climate scientists themselves. When the climate scientists rated their own papers, they returned the exact same figure: 97%. And when skeptical economist Richard Tol did his best to dismantle the paper, even he found a 90% consensus. “But 31,000 scientists disagree!” If you ever see someone citing the Petition Project, which claims to have over 30,000 scientists dissenting from the consensus position on climate change, you should immediately stop taking them seriously; they’re either intentionally trying to deceive or have done zero due diligence. Even if all the names were real, they would be far outnumbered by the names of researchers from all the major scientific groups, which have all made statements supporting the consensus. It’s also important to note that Fred Seitz who penned the letter, was a spokesman for tobacco until 1988, at which time the industry considered him, “quite elderly and not sufficiently rational to offer advice.” So ten years after R.J. Reynolds finds him too irrational to distort science for tobacco, Seitz is commenting on climate change. Similarly, another force behind the petition, Art Robinson, thinks it’d be a good idea to sprinkle nuclear waste into drinking water. “Climategate!” Perhaps the most damaging myth arose in 2009, when thousands of private emails by climate scientists were released. Bloggers looked for the most damning quotes, and when they couldn’t find much, they resorted to misrepresenting quotes or otherwise truncating them to portray scientists as corrupt and untrustworthy. The media—always eager for scandal—uncritically picked up these doctored quotes and Climategate was born. “Hide the decline” and “Mike’s Nature trick” were phrases that soon were seen across the Internet. Eight separate investigations were launched into the supposed malfeasance, and one after another the verdict came through: the climate scientists did nothing wrong. Every single one of the supposedly damning emails was completely innocuous when read as written, as opposed to doctored and presented by the blogs. Here are the links to the investigations: Penn State’s inquiry into Dr. Michael Mann’s emails and the final report; the UK House of Commons’ Science and Technology Committee report; the International Science Assessment Panel investigation; University of East Anglia Independent Climate Change Email report; U.S. EPA investigation; a second UK House of Commons’ Science and Technology report; Department of Commerce investigation; and National Science Foundation report. “Warming might be good!” Some people claim there needs to be a full cost benefit analysis on climate change, because maybe the opening up of new farmland will offset climate change’s costs. Rigorous analysis shows this to be false. The Stern Review is the most comprehensive look at climate change economics, and it found the costs of climate change to greatly outweigh any benefits. Additionally, Richard Tol— an economist who regularly argues for delay and disparages the IPCC—has published a literature review on the economics. His work initially suggested there would be some benefits to limited warming, but then multiple errors were pointed out in his analysis, ultimately requiring three separate corrections. It turns out he accidentally switched the signs (blaming gremlins in the correction), so he recorded some studies that said there would be significant costs as though there would be benefits. Once the corrections are taken into account, we see that any warming over 1°C will have net negative impacts—meaning it makes economic sense to take action, even according to the most skeptical of analyses.